If your looking for the Halloween blog hop post, then you have found it! Hi, my name is Janice Seagraves. I write romance of various genres. 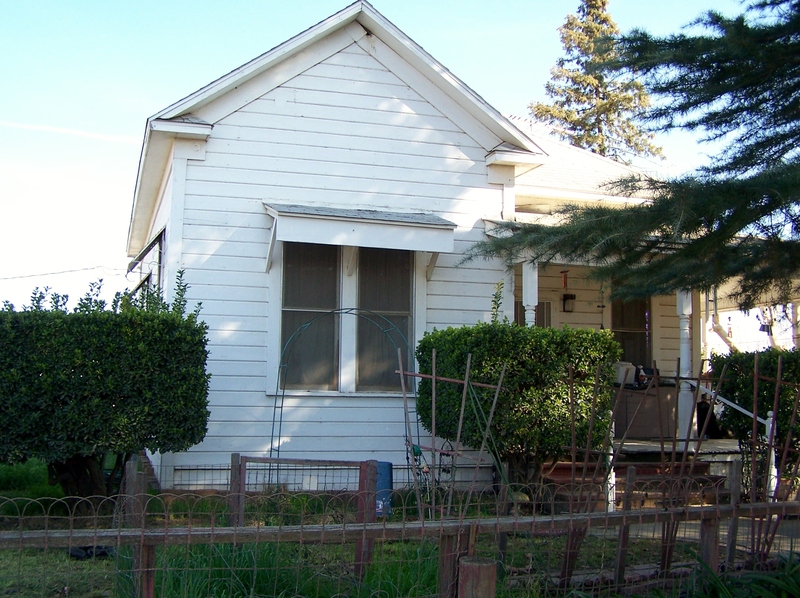 Here’s my bio: Janice Seagraves grew up in a small California town. Her home is a hundred year old haunted house (I’m not kidding), where she lives with her husband and daughter, an overly affectionate cat and a Jack Russel that’s in love with her daughter (still not kidding). Yes it is. Since my husband and I first moved into our house twenty years ago, I’ve heard a little girl crying when I washed my hands in the bathroom. Which in itself isn’t anything unusual, however we live two miles out of town in the middle of what had been a grape vineyard but is now an almond orchard, and we have no close neighbors. I’ve lived here for twenty years and heard the same child sobbing. Reason would dictate that if this was a child, it would be grown by now. Once when my daughter was still a newborn baby, I was enjoying a few blessed moments of shared TV viewing with my husband (you never know how fleeting those moments are until your a new parent), and then my baby started to cry. I sighed and started to get up, when I heard a woman’s voice saying very clearly, “Hush, baby,” I ran into the bedroom, and my husband ran outside. When I turned on the light, the baby was asleep and no one was there. My husband came back inside and told me no one was outside. While my daughter was a baby, she would sleep with us, and during this time I would feel the bed dip like someone was sitting down. Usually this meant that my hubby was putting on his boots for work. But other times, I’d open my eyes to see that I was alone. Over the years I, my husband and my daughter have seen a little girl ghost at different times and places in the house. One time while my daughter was sleeping with me, she screamed in the middle of the night. I jerked awake and turned over, that’s when I saw the little girl ghost sitting on my bed on the far side of my daughter, staring at me. Then she faded away. When my daughter was little about three or four, she had an invisible friend named Jenifer or Jenny, which I later realized was our ghost girl. Once or twice I’ve heard a scary voice saying my name, and a chill would wash down my back. I’ve been woken up by the sound of my bedroom door being opened and when I looked to see who it was, the door was closed. That just happened the other night. I got up again to look and the door was closed. Nope, no more sleep for me. We’ve seen orbs. Mostly green and blue ones. I saw one in the bathroom and followed it in my daughter’s room, where it landed on the foot of her bed and disappeared. 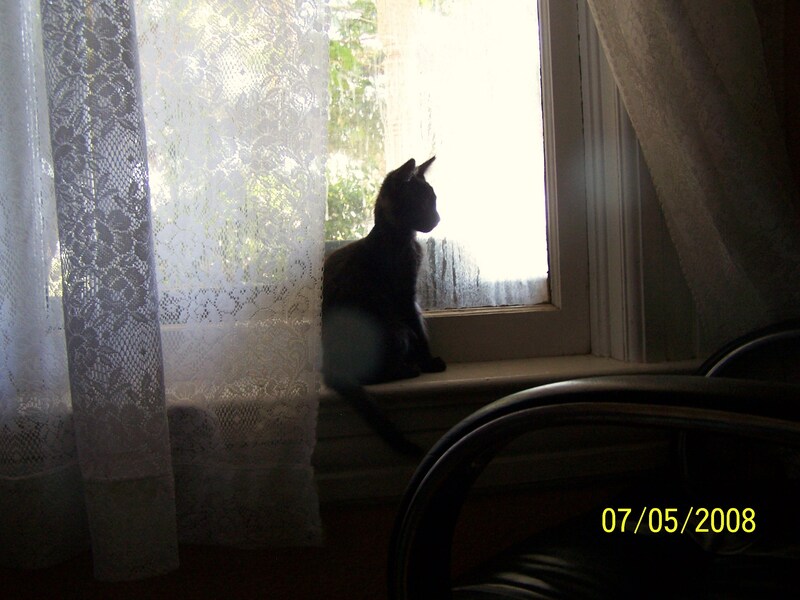 I have taken a few orb photos with our black kitty we used to have, and I have an earlier photo with a white something that went through my husband’s mouth. These photos were taken with two different cameras; the above photo is digital and the below one is a 35 mm. When my husband worked nights, sometimes I would see something under the fitted sheet moving back and forth. I thought maybe a mouse got into the mattress. My husband and I flipped the mattress over and I couldn’t find any mouse holes, so I have no idea what that was. One morning, I was woken up by a child singing the song called the Lilac Tree. Both my husband and daughter were in the living room watching Saturday morning cartoons. And nothing they watched had a child singing. I’ve been woken up by the smell of Brownies and thought my daughter was baking. I got up to go into the kitchen and no one was cooking. Boy was I disappointed. One time when I overslept, I heard someone walking around my bed and a voice saying, “Come on, honey, it’s time to get up.” When I got up, no one was there. When one of my daughter’s friends spend she reported hearing the bathroom door creak open, and the sound of whispering. The friend asked my daughter if her parents were awake. My daughter said no, and then they both went and checked the bathroom. They found it empty. My husband and I both have heard whispering voices before, right when we got home. We’d quickly unlock the front door to the house, flinging it open, but the noises stopped and no one was there. A few months ago when I just laid down to go to sleep, I felt someone tuck in the tag on my pajama top. My bedroom door was closed and hubby was working the graveyard shift and my daughter was spending the night at a friend’s house. Leave a comment about your own ghostly experience and your email addy, for a chance to win a five dollar Amazon gift certificate. 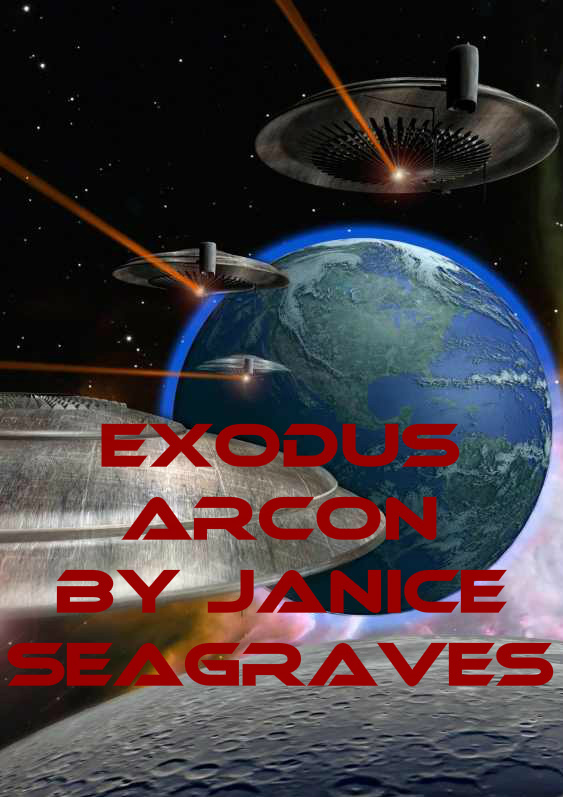 And just for stopping by, you also receive two free downloads, which is the start of my science fiction romance series The Arcon Saga. If your looking for the Wicked After Dark Blog Hop tour then you found it. Aziza palmed the bathroom door release and walked out, dressed only in a large towel. She froze when she saw her mate talking to his identical twin. It was confusing to see her mate’s handsome face on such a hard-bitten warrior. “I was waiting for you, Blade.” She crossed the room to stop in front of him. “No, don’t go.” Aziza grabbed his arm. I must do this. “You don’t want me.” Blade looked everywhere but at her. “I made a promise,” Aziza blurted before she could stop herself. “To who?” Blade yanked his arm away. I can’t tell him, I promised Ynyr. “To . . . Keefe.” She glanced quickly at her mate, he nodded with a frown. “Why is that, youngling?” Blade glared at the youngest family member. All three males sniffed the air, as Aziza’s pheromones filled the room, smelling like pod blossoms in the spring time. “My heart, what are you doing?” Keefe frowned down at her. “I’m keeping my promise,” she snapped at him. Blade closed his eyes and moaned. “That’s a dirty trick.” He turned away from her. “Yes, mistress. You order and I shall obey.” Blade lifted both arms then dropped them so hard, both female and youngling couldn’t hold on. He stepped up to Aziza with such speed, that she was left blinking at his muscular chest a surprised moment. She smelled Blade’s spicy-sweet pheromones, and then craned her head up at him. Placing his hard hands on her head, he gently tilted it to the side. He sniffed up her neck and shoulder, making her shiver. “Do you accept me, all of me,” he breathed against her skin. “Yes.” She barely said that single word of consent, when his sharp canines pierced her flesh. This wasn’t the little nip she got from Paz. No. This was a deep bite from a male wanting to mark his mate. All three watched him for a stunned moment, until he hit the ground and convulsed. One critique partner says to delete two paragraphs saying it’s data dump and slows the story. Another says it’s great back-story information, but asks if it can be spread out. A third loves the world building. What do you do? How do you know if the back-story info is too much? First, critiques are opinions and suggestions. You take what works for your writing voice and toss the rest. The crits I mentioned above are three examples of those suggestions. Why are they different? Because people are individuals and we don’t always read the words the same. What is too much info for one person may be just enough for another. As the author, we have to find that balance. Will you please everyone? Not a chance. I find the balance that makes me happy with outcome, and of course my editor. When I’m doing my self editing/revision stage, I look for information that I would skip over as a reader. I ask myself if the information move the story along. If not, I decide of what needs to be there and what can be introduced later on or through dialogue. The biggest thing is if you, as a reader, will skip over it then others might as well. Kalissa Bradenton isn’t your average coffee shop owner. Born to an elite witch bloodline with a rare genetic mutation, she’s a Divinity on a mission. The death of her parents sends her away from her Maxville, Florida, home and into an ancient war between witches and demons. When childhood friend Ayden Daniels comes to her aid after an almost fatal accident, visions of a past she doesn’t remember sparks an old flame and new desires. With the past slowly becoming clearer, she eagerly sets her sights on mending Ayden’s heart and gaining his trust–until a ghost from her past returns to claim her as his demonic mate. Ayden, the new Sheriff of Maxville and grandson of the oldest living Divinity, is investigating a series of Divinity killings. When he comes face-to-face with the one woman he hopes to have little to no contact with, old pain rises, quickly followed by anger and resentment. Through his rare power of adaptability, he learns actions from the past may not be what they seem. Hope fills his broken heart and determination pushes him to do whatever it takes to win Kalissa’s heart once more before he loses her forever. Together they must find the strength to mend their tormented souls, while fighting an evil out to destroy the world. Ayden Daniel had only been in Charlotte an hour before his cousin, Zach, called with a favor. No. Not quite a favor. A request that sounded more like a plea. A muttered curse slipped from his lips at the same time his heart lodged in his throat. “Fine.” The word came out in an irritated huff. Ayden hung up and wished he had never answered the damn phone. No, that wasn’t completely true. He would never forgive himself if something happened to Kalissa that he could have prevented. She was the one person he’d hoped to avoid as much as possible when he’d taken his place as Sheriff of Maxville. It wasn’t that he disliked her, that was the problem. Despite his better judgment and a glutton for punishment, he still cared too damn much for the woman. The mere mention of her name made his pulse race with excitement. His body hardened at the thought of seeing her again after fifteen years. But his mind screamed to walk away. To let her be. Kalissa was trouble, and a hazard to his heart. She’d broken it once—torn it right out of his chest—at the age of seventeen. A human friend had laughed at the mention of their young age and Ayden’s claim that she was the only one for him. A mistake on his part to confide in a human and expect him to understand magickin way of life. Magickin children developed at a faster rate. At the age of seventeen, he was as mature as most twenty-five-year-old humans and fully aware that he had met his eternal companion. They were life partners—magical mates—destined to spend their extended lives together. To find one at such a young age was a gift. A gift she stole from him. Lia Davis is a mother to two young adults and two very special, equally different kitty cats. She’s a wife to her soul mate, who drives her crazy during editing/revisions. She and her family live in Northeast Florida battling hurricanes and very humid summers. But it’s her home and she loves it! An accounting major, Lia has always been a dreamer with a very activity imagination. The wheels in her head never stop. She only recently got serious about publishing her work and loves it more than she imagined. Writing a stress reliever that allows her to go off in her corner of the house and enter into another world that she created, leaving the day job where it belongs. It’s way too easy to fuss over the details before you get the story written. The thing is, you have to give yourself permission to write a sloppy first draft, and promise your internal editor it can have a crack at the ms after it is finished. Your Welcome or is it You’re Welcome? I’ve been having some guest spots on my blog and website, and when I’m thanked by someone in an email, I write back to them ‘your welcome’. Then I realized that didn’t look right. The easiest test is to say it out loud; if you can put in you are in the sentence, then you’re is the right word to use. So for future reference always write you’re welcome when someone thanks you. I’m stopping by today to share an excerpt from A Killer’s Field, a new fictional novella motivated by the senseless I-45 Texas killings, most of which have remained unsolved. A few years ago, I became aware of the overwhelming number of unsolved crimes along the I-45 corridor located south of Houston. In an area known as the Texas killing fields, this property has become a dumping ground for some of the country’s most horrific crimes. Since the early 70s, bodies have been abandoned in these Texas swamps. Many young lives ended too soon and families were devastated as bodies were recovered but never truly laid to rest. Killers seemingly committed the perfect crimes and thanks to the mysteries surrounding so many of the murders, questions were forever left unanswered. A Killer’s Field is a short young adult Halloween story available in e-format. Published by Devine Destinies, the novella is fictional but the inspiration behind the story was developed over time by researching some of the true, and quite brutal, unsolved Texas killings. A Killer’s Field isn’t a true story. However, when I wrote the novella, I tried to write a short story that would appeal to young people and in some small way let the victims’ families know their loved one hasn’t been forgotten. At the same time, this short story includes a warning for all readers with an underlying message in regards to social networks, a tool often used when criminals make their first connection with their future victims. I’d like to invite your readers to check out A Killer’s Field, on sale now at Devine Destinies. Readers, please leave your comments about the cover, short story, or any aspect of A Killer’s Field. I’ll stop by again today and choose one random winner for one free e-gift. If you’re posting a comment, please include an email address or check back to see how you can claim your prize. Kristen McMurray is flabbergasted when her boyfriend decides to take her to the Texas Killing Fields for Halloween. She’s not at all impressed with his plans for a romantic evening, let alone the idea of frolicking on the very grounds known to harbor the deadliest of secrets. Picturing a moonlit sky high above them and a murderer lurking in the shadows, Kristen is convinced her boyfriend has either lost his mind or worse. Perhaps he’s become a quiet lunatic waiting to emerge. Reluctantly, Kristen agrees to spend Halloween in the fields. Unbeknownst to her, they enter the heart of a huge Halloween hunt, an organized event and obvious trap used to entice unsuspecting victims to the very place where dozens of bodies have been previously dumped. One brush with death leads to another, but Kristen keeps her wits about her as her boyfriend turns their Halloween night into an evening she’ll never forget. While the fields live up to their harrowing name, Kristen faces the horrors of the past. Somewhere along the way, she discovers an inner strength and a will to survive, realizing determination and the desire to live are the only elements ensuring she’ll leave the fields alive! I’m about as flabbergasted as my Dobermans were when I went outside to feed them prime rib and a vulture swept down and stole the raw meat straight from the pan. The event occurred last week but I can still picture their wide eyes as they stretched their necks upward and barked at the heavens. They were in terrible shock, poor things. After the clever bird escaped, all they could do was stand there and pant, foam forming in the corners of their mouths. Okay, so I’m not panting or wiping drool from my chin. I am, however, stunned. Wonderful. For a minute, I consider his idea of snuggling inside confined spaces. That is, until a body bag comes to mind. After all, those fields symbolize decades of horror. A Killer’s Field by Susan Elizabeth Alvis is available at Devine Destinies. Cover art for A Killer’s Field was created by Carmen Waters.